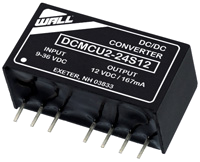 The DCMCU2 series of DC/DC power converters consists of fully regulated single and dual output models with 4:1 ultra wide input voltage ranges of 4.5-18 VDC, 9-36 VDC, and 18-75 VDC. These converters provide 2 Watts of output power in a very small SIP-8 package occupying only 0.32 square inches on the PCB. 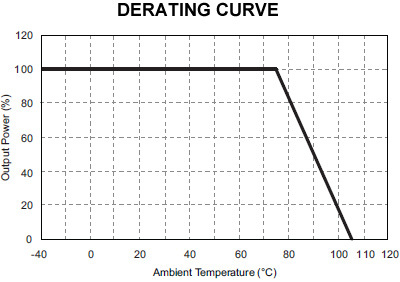 An excellent efficiency allows an operating temperature range up to +75°C at full load without derating. 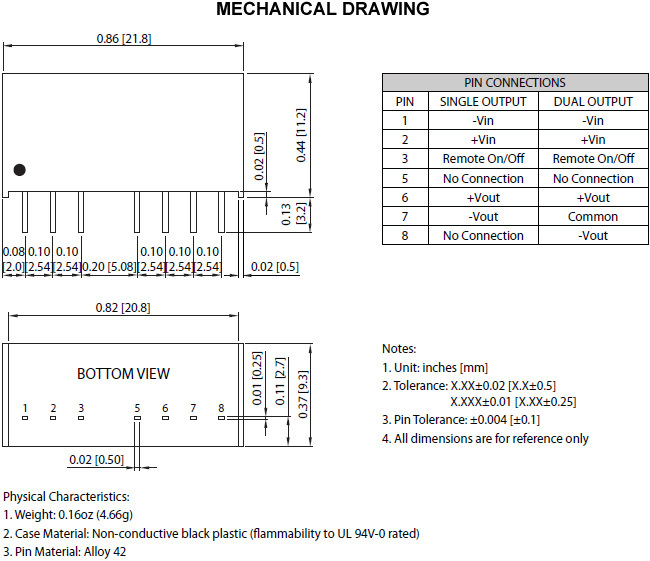 Further features include 1500VDC I/O isolation, remote on/off control, and short circuit protection. These converters are RoHS compliant and have CSA/UL/IEC/EN 60950-1 safety approvals. These converters’ very compact dimensions make them an ideal solution for many space critical applications in battery powered instrumentations.